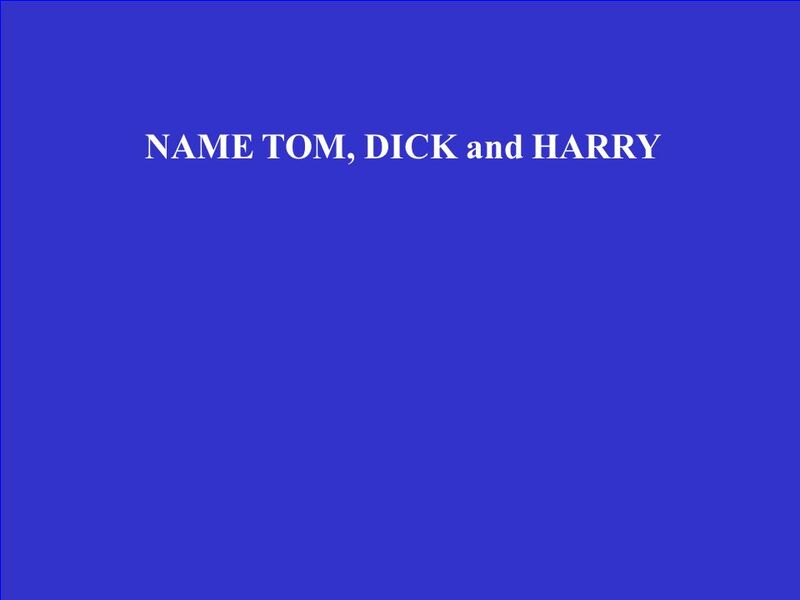 Chapter 18 Review THE FOOT. 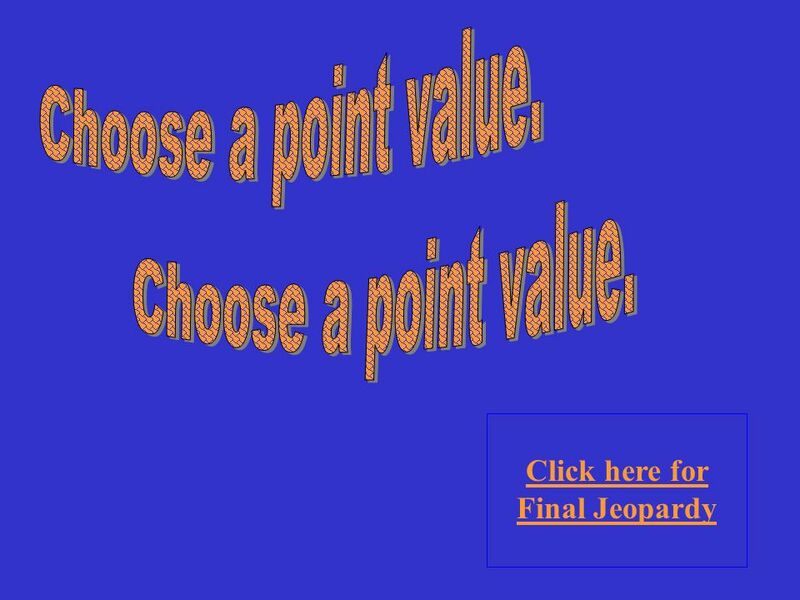 2 You will be given the answer. You must give the correct question. 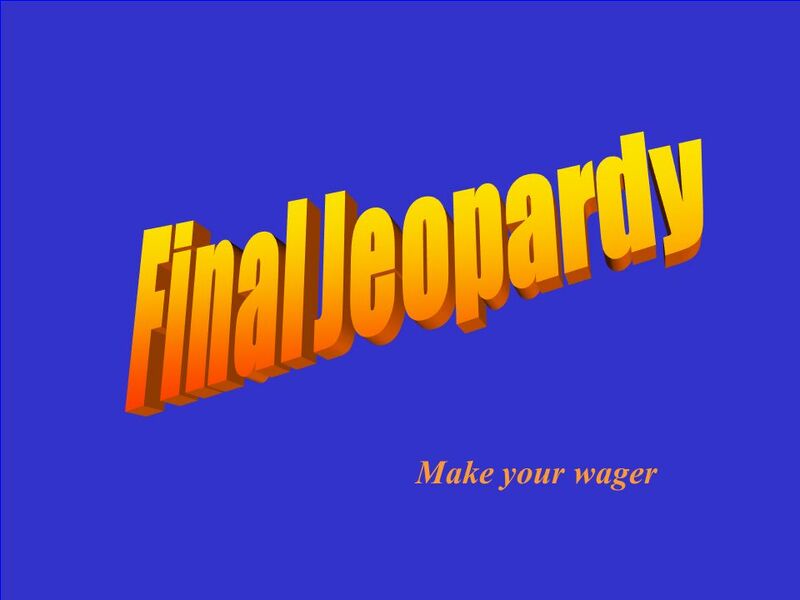 Jeopardy Choose a category. You will be given the answer. 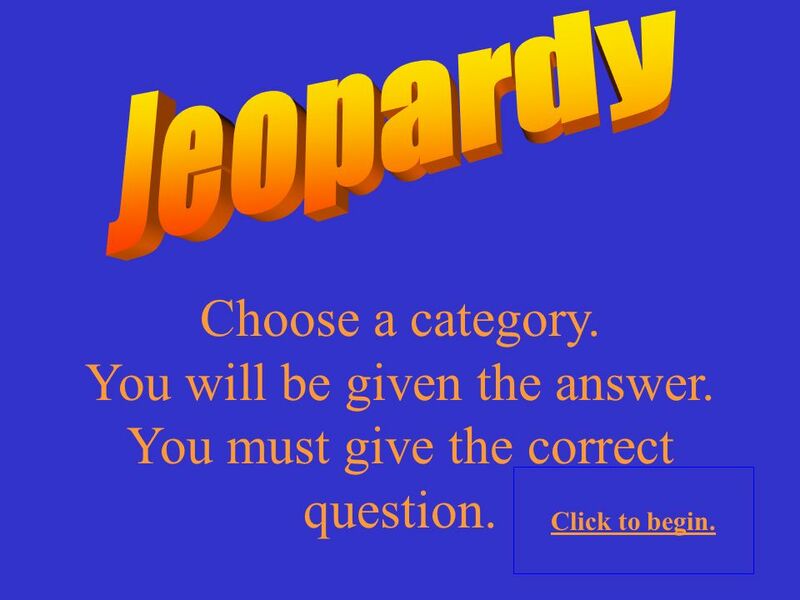 You must give the correct question. 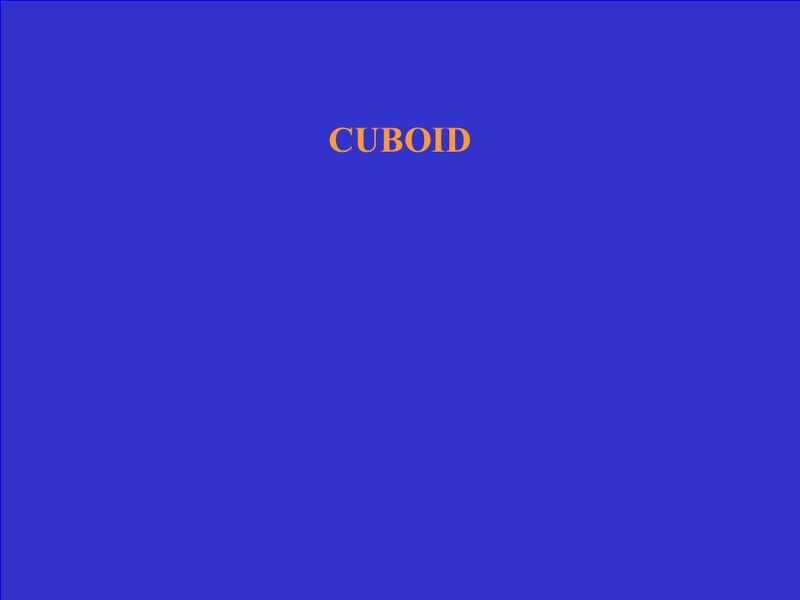 Click to begin. 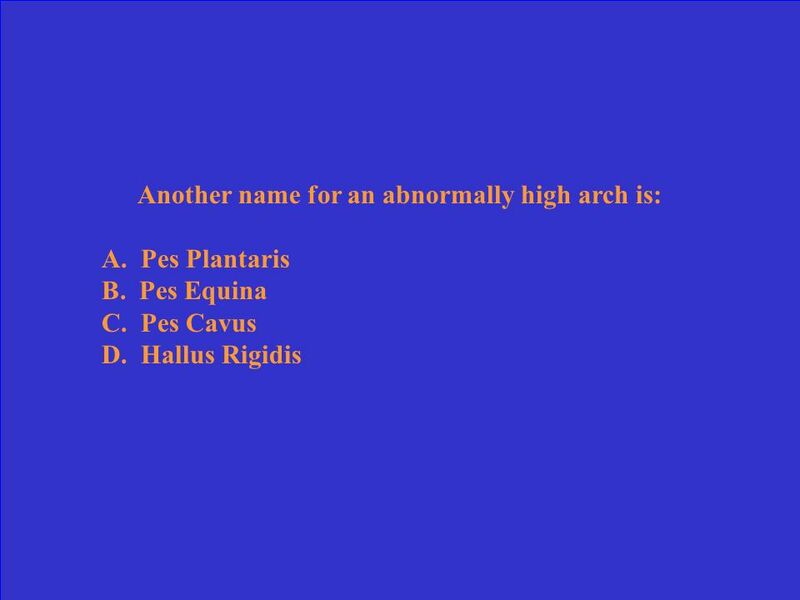 7 Which of the following is the best type of shoe for a person who excessively pronates? 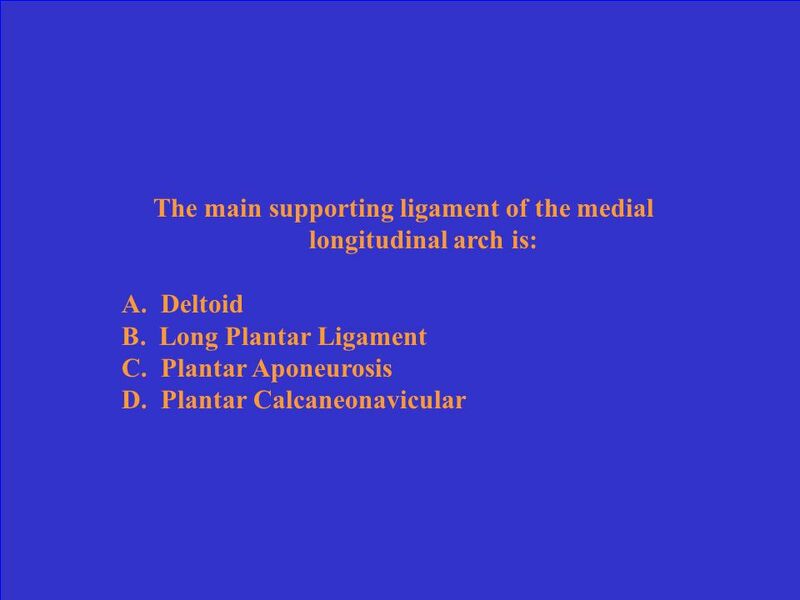 8 Which of the following bones is the main bearer of weight in the foot? 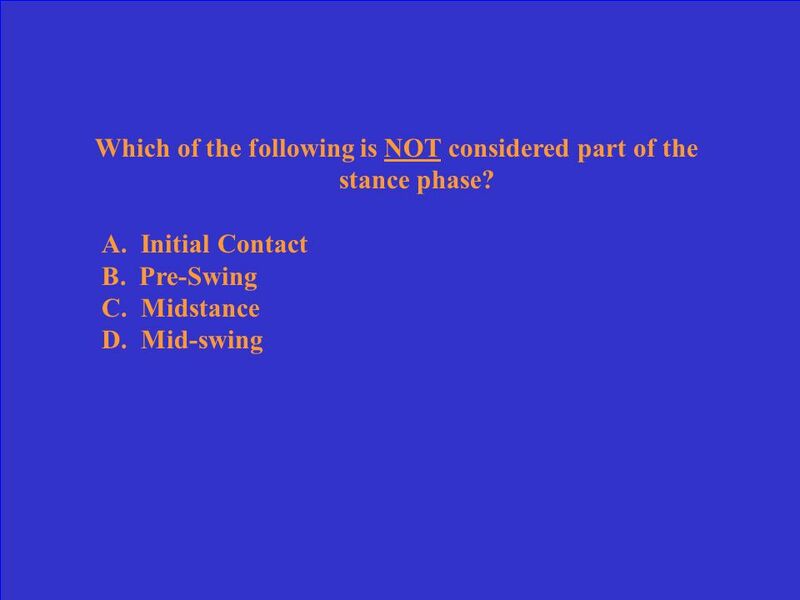 9 Which of the following is NOT considered part of the stance phase? 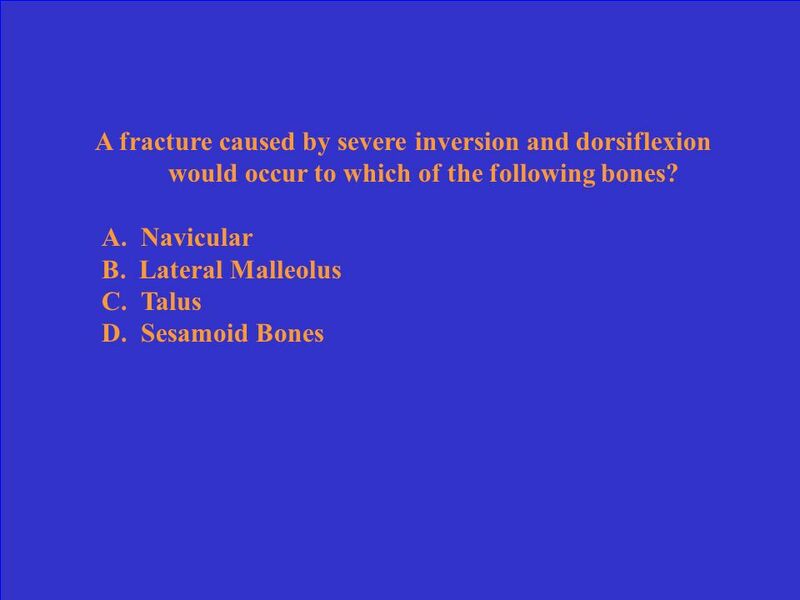 16 A fracture caused by severe inversion and dorsiflexion would occur to which of the following bones? 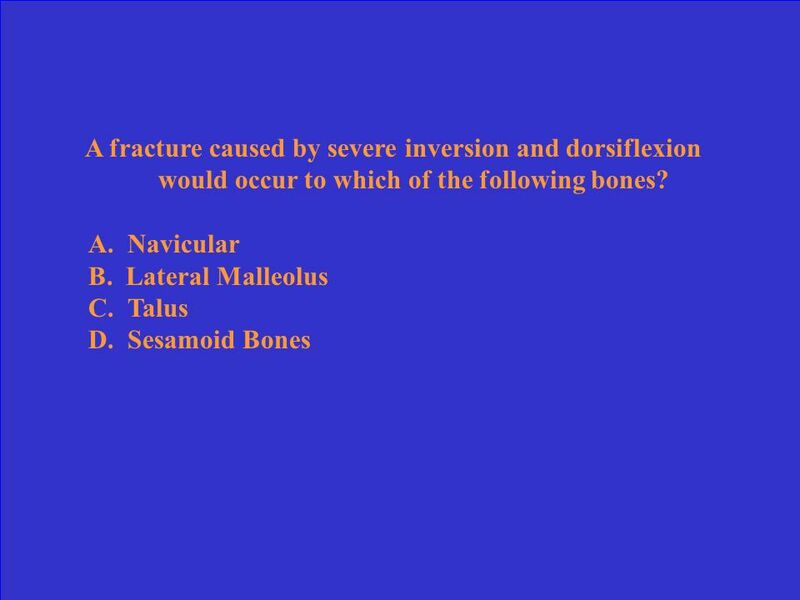 19 A fracture caused by severe inversion and dorsiflexion would occur to which of the following bones? 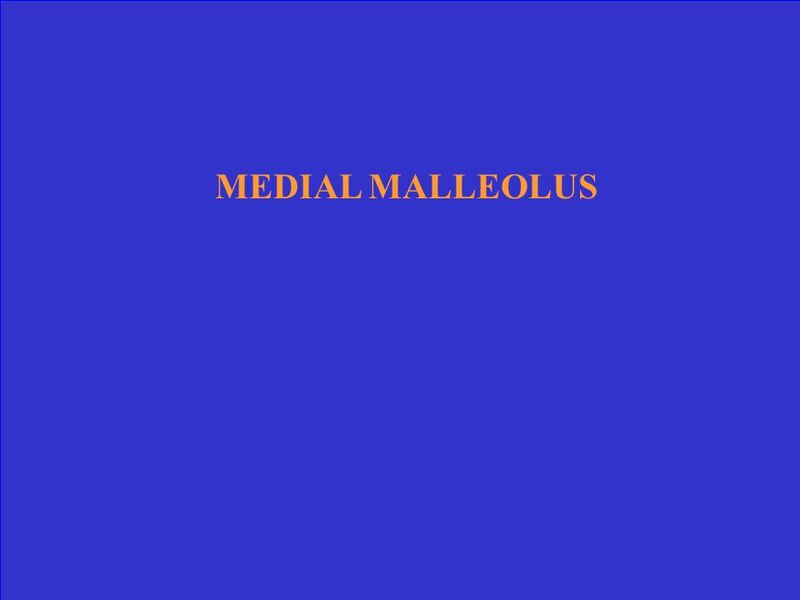 21 Which of the following is NOT a prevalent cause of metatarsalgia? 25 During running, both feet are off the surface at one time. 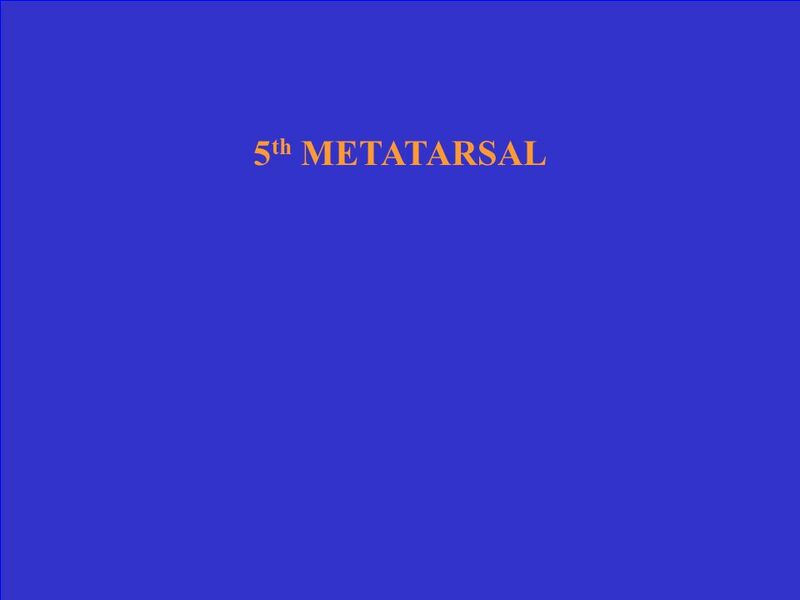 26 In excessive supination, the majority of the weight is absorbed by the first and fifth metatarsals. 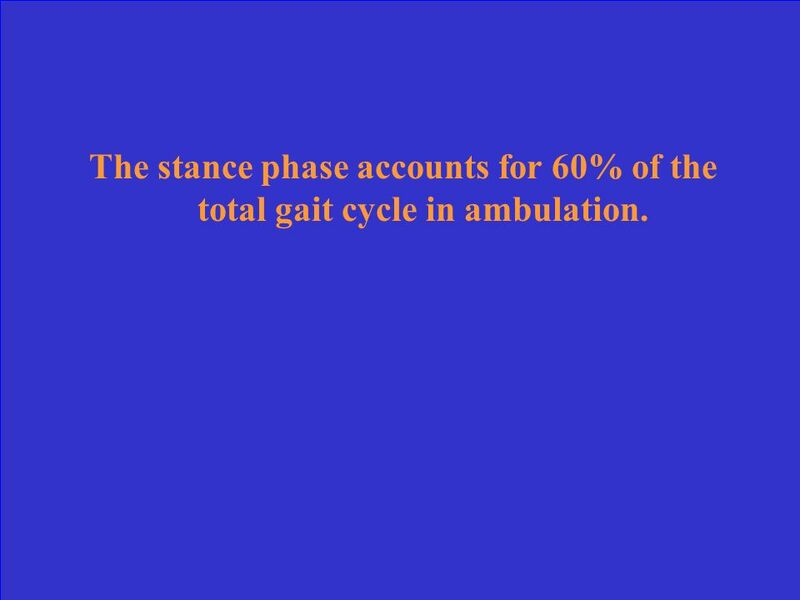 27 The stance phase accounts for 60% of the total gait cycle in ambulation. 28 For an athlete that has excessive pronation, one should have a rigid shoe. 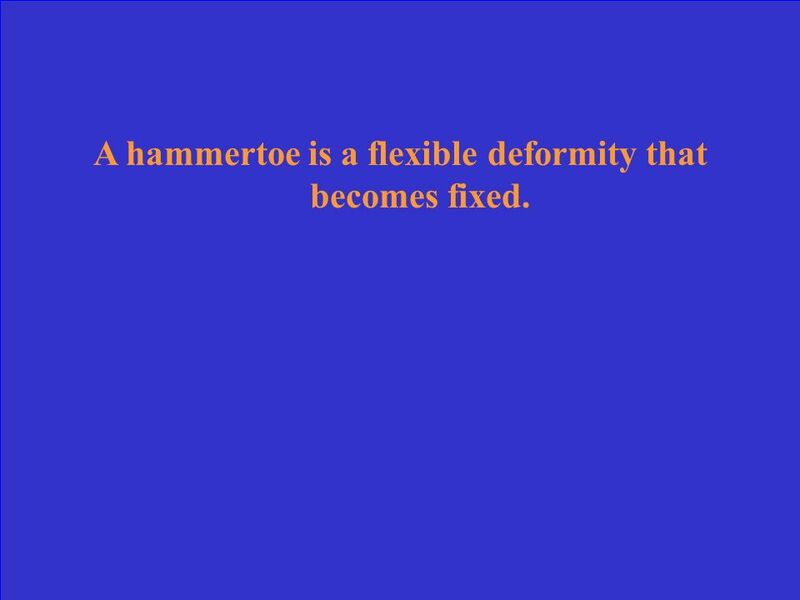 29 A hammertoe is a flexible deformity that becomes fixed. 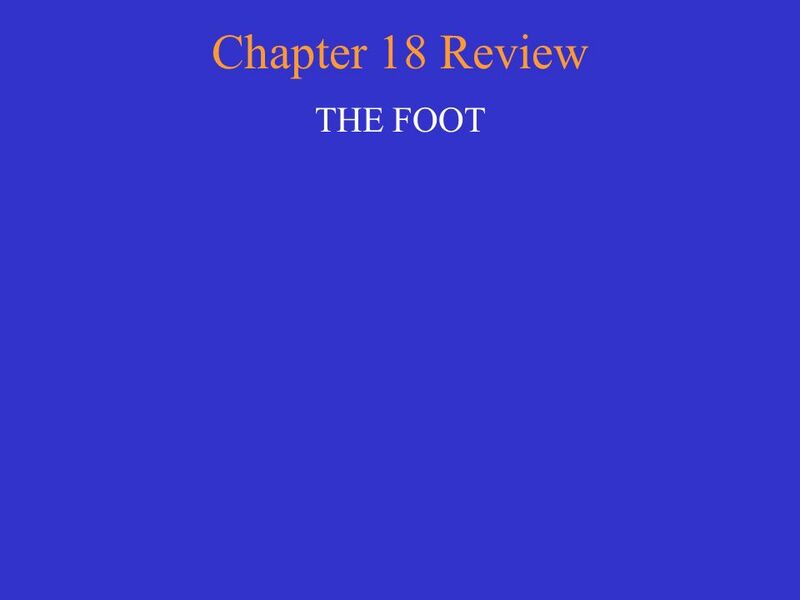 Download ppt "Chapter 18 Review THE FOOT." 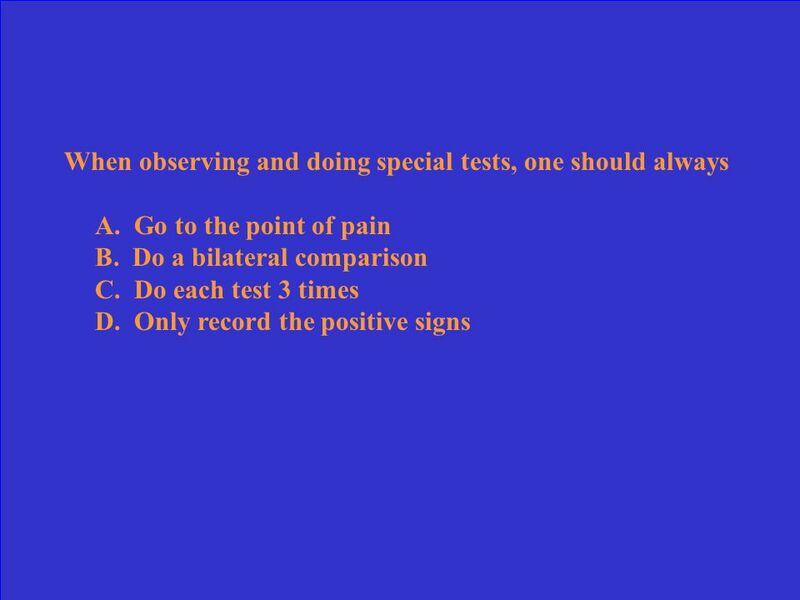 HE92: Sports Medicine Final Fall Semester Review #1. 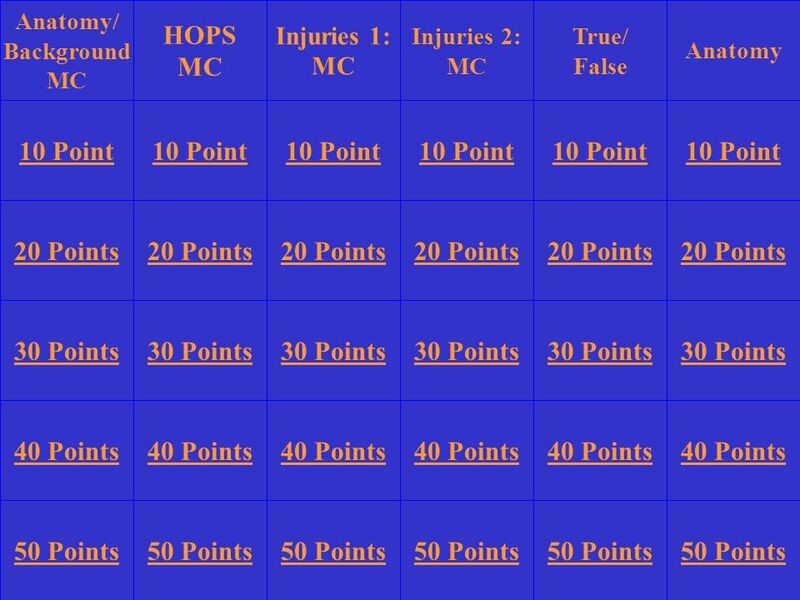 HE92: Sports Medicine Final Fall Semester Review #2. Lower Leg, Ankle, and Foot Conditions Chapter 16. 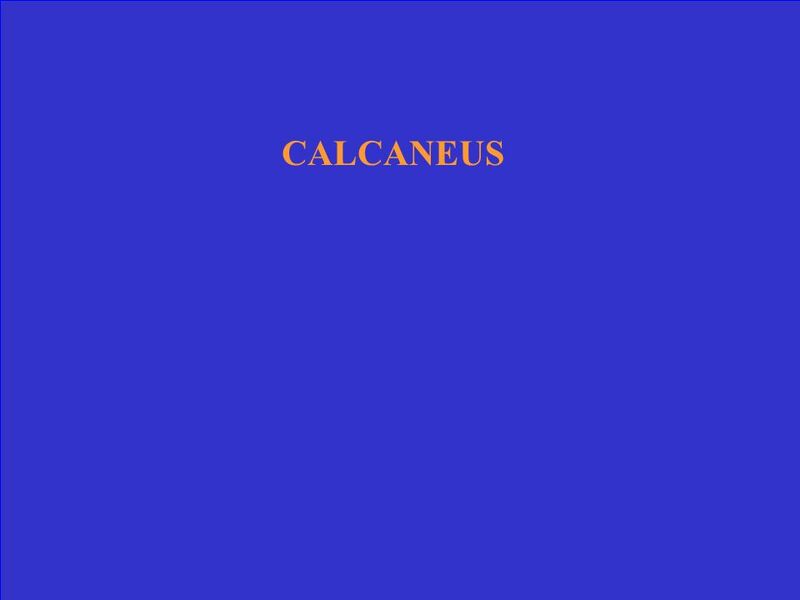 Athletic Injuries of the Foot ROP SPORTS HEALTH CARE MRS. CAMOU. THE FOOT Chapter 18. Introduction The traditional sports activities in which athletes compete at the high school, college and professional level all involve. Foot and Ankle Andrea, Colten, Jessica, Tyne. 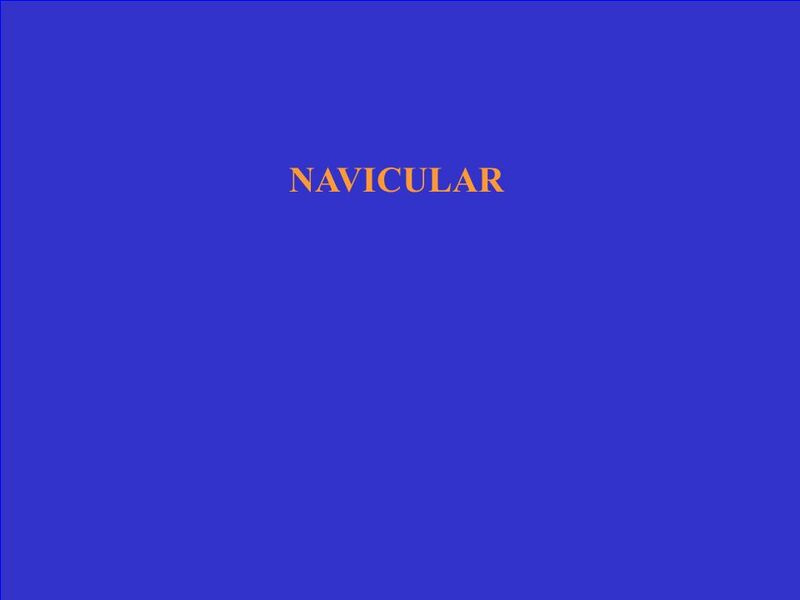 Surface Anatomy. The Ankle and Foot Joints. Function of the foot Provide a stable platform Generate propulsion Absorb shock. Muscle and Joint Tests for Lower Extremity Ankle Joint and Foot Group 6 Kevin, Jonathan, Heather, Sybil, Andrew, and Chris. 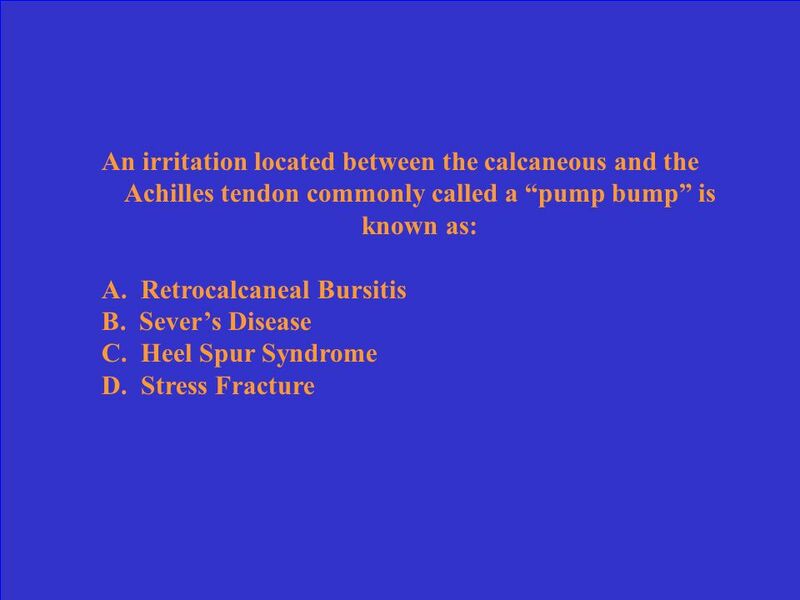 Ankle Joint Dr Rania Gabr.